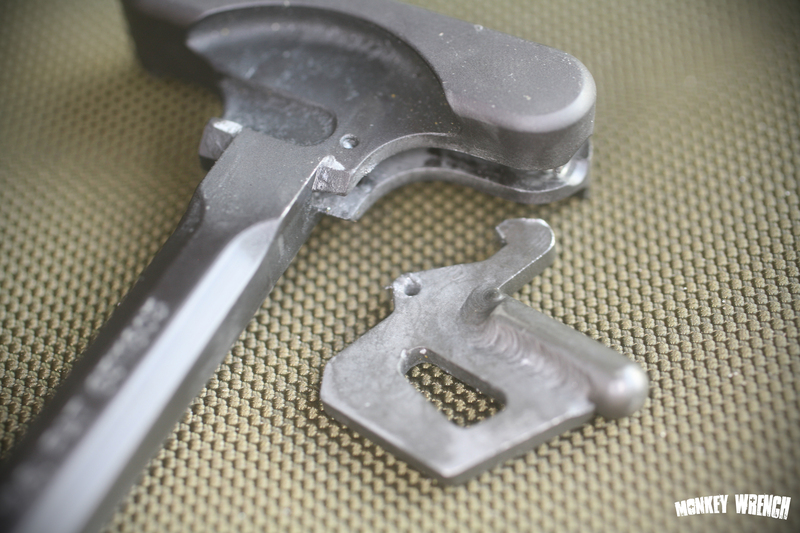 The second time this has happened to me, a PRI gasbuster charging handle failed. This time, the roll pin sheared off in the latch, there are still pieces of roll pin inside the handle itself. The pieces of pin took some chunks out of the steel latch as it came out. The first time was a similar failure, and I was assured when I sent it in, that I would receive one of improved design back, to battle this very problem. Obviously, this thing will go back again. Not sure if I want it back. Perhaps it’s time to look into a BCM Gunfighter one. Added: I just spoke with Sean, the shop manager at Precision Reflex, and the upgraded version of the charging handle had a solid pin instead of a roll pin. I think mine was exchanged either right before that change, or I was accidentally shipped an old style replacement. He asked me to return the charging handle to them, and they will repair or replace it. They will also reimburse me my return shipping costs. 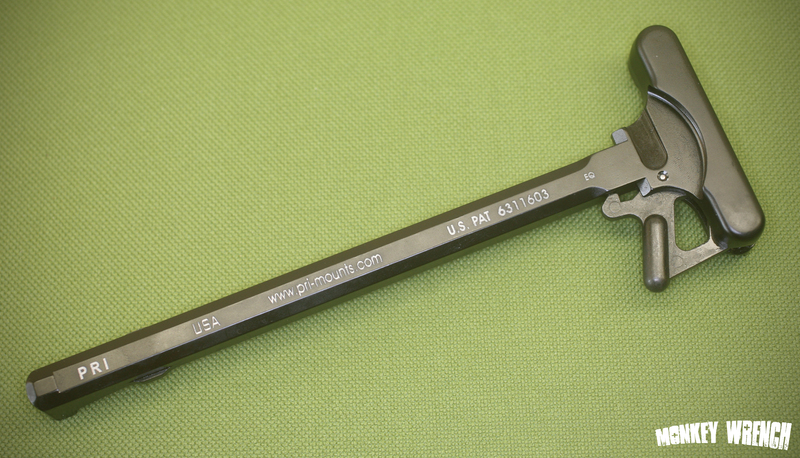 I received the replacement charging handle yesterday. Shipped UPS, and a $5 bill inside the ziploc bag for my shipping costs. The pin for the latch is now a solid pin, which, according to PRI, will take care of all the breaking issues they’ve been having. Time will tell. 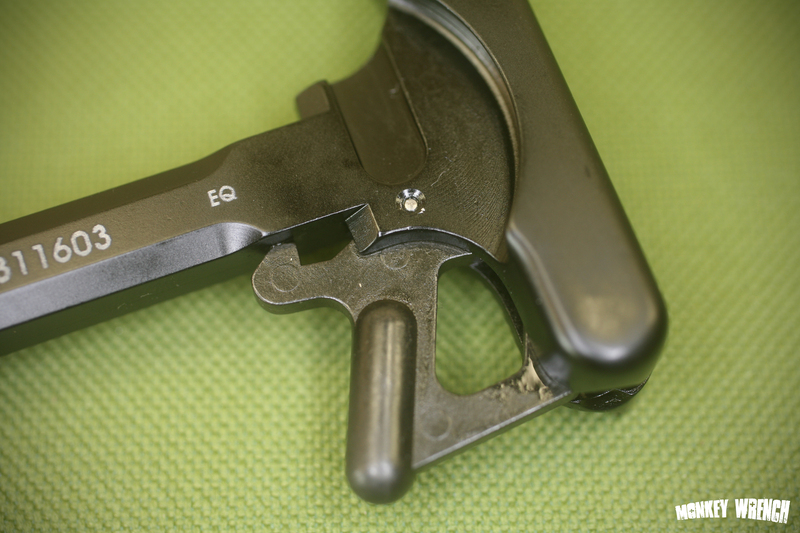 One other thing I noticed, is that the actual latch is no longer a machined piece with a rod welded to it, as can be seen in the first picture, but is now a one-piece casting. A bit disappointing.